If there were still any doubts about FIFA's president Joseph Blatter having a particular preference for either Barcelona's Lionel Messi or Real Madrid's Cristiano Ronaldo, they just ceased to exist. 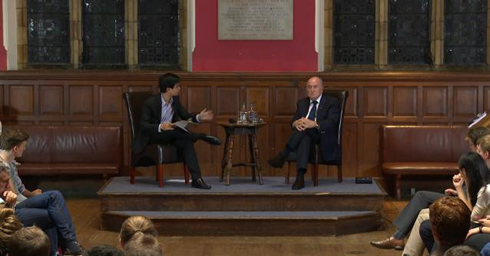 During a speech in England, Blatter mocked Ronaldo and stated that he prefers Messi over the Portuguese star. As we all know, the FIFA Ballon d'Or winner comes out of a voting system where coaches and captains of international teams cast their choice. Over the last years, this has been the main argument used by many football pundits and fans when they wanted to claim that there is no reason to believe in any subjectiveness or biased criteria behind the FIFA Ballon d'Or. However, and knowing how FIFA got heavily involved in the corruption scandal for buying/selling votes so that Qatar was awarded with the hosting of the 2022 FIFA World Cup, how naive would it be to assume that they wouldn't also try to dictate who wins one of their most prestigious award. Moreover, FIFA reputation for corruption scandals is not something new and even Blatter's first election to become FIFA's president in 1998, is now known for having been the result of another vote-buying scandal. Joseph Blatter: "We have Lionel Messi and Cristiano Ronaldo, but now we have to consider Zlatan Ibrahimovic as well. But since the main issue is about Messi and Ronaldo, I'll restrict my opinion on them. They are both exceptional players, but they are totally different. 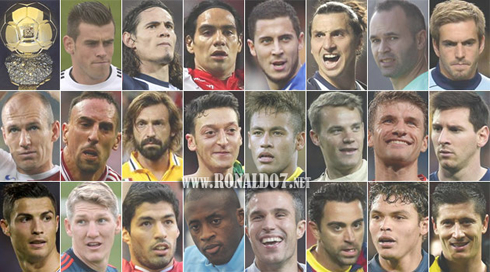 That's what football is all about though, the different personalities stars bring up to the sport." 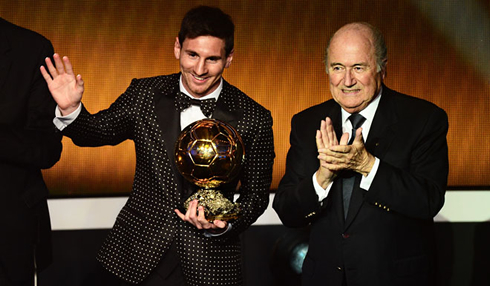 Blatter: "Lionel Messi is a good boy, someone who every father and every mother would be proud of having at home. He's really a good man, really fast and he's not exuberant. He has been playing really well and he's like a dancer with the ball on his feet. He's a good boy after all and that's why he becomes so popular. Therefore, it's more than natural that he earns so many votes because he is a nice man. And he does play well and scores goals too! ", said the FIFA president, as he couldn't help to show some clear signs of starting to become a bit senile these days. 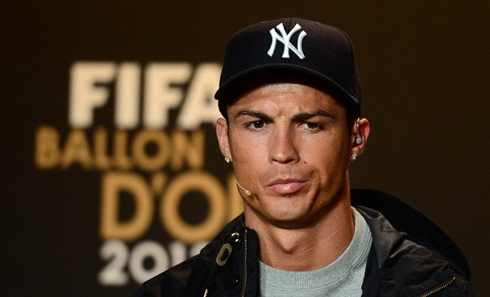 Then came the shocking statements and acting, about Real Madrid's star Cristiano Ronaldo. 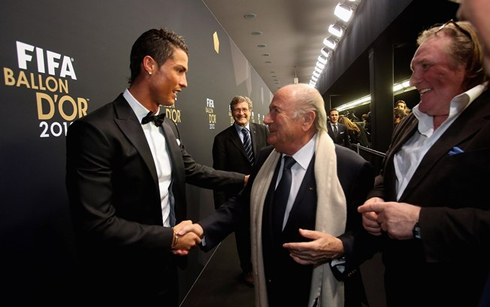 Blatter: "Now the other one [Cristiano Ronaldo], he is just something else... 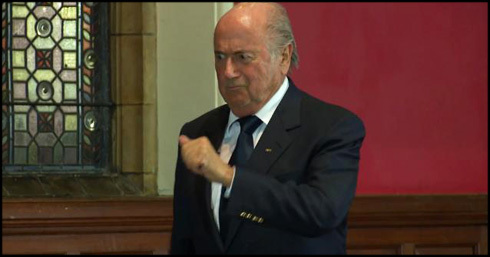 He is like a commander on the field of play [Blatter then stood up from his chair and started imitating a robot]. That's it. This is the other side of football and it's also good to have such commanders on the field. Players don't have the same attitude on the field and that's what gives life to football. One [Ronaldo] has more expenses in the hair dresser than the other [Messi], but that doesn't matter. I cannot say who is the best, but there will be a contest again this year, on January 13. I like both of them, but I prefer Lionel Messi", stated the 77-year old FIFA president without blinking and with a big devilish smile on his face. Cristiano Ronaldo next game for Real Madrid will against Sevilla for the Spanish League 'La Liga', this Wednesday (October 30, 2013). You can watch Juventus live stream, Real Madrid vs Sevilla, Celta Vigo vs Barcelona, Manchester United vs Norwich and Arsenal vs Chelsea, all matches provided from our live football section.